Life is good when you are caring for injured animals. Click on the photo to learn more about Bumbelina and Midorna, our most loved members of Estacion Biologica. Photo Jen Moran. Everyone likes pet animals. Animals bring happiness to our life in a lot of ways, by showing affection, their physical attractiveness, and by humoring us with their actions. Animals like dogs and cats have evolved thousands of years in the presence of humans, to the point that they are incapable of living distant from us. It might even seem that we are co-dependent on them, too, sometimes we can't live without them. These two macaws have been rescued from the pet trade, and we care for them at Estacion Biologica in Laguna de Apoyo. Photo Jen Moran. We humans have a disconcerting tendency to interfere with the other species with whom we share this planet, however. It isn't enough that we eat some, use others to make housing, clothing and utensils. We like the idea of having animals around us, doing our bidding. We see a beautiful animal such as a macaw in the forest, and we think, "I want one". Even the precolombian people were known to capture these majestic animals and keep them as pets. It is difficult for us to accept and appreciate animals in the wild without giving in to the urge to dominate them, by capturing or killing them. 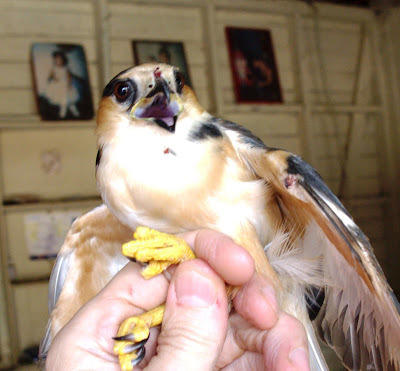 Feather-plucking is one of several responses to years of captivity for animals that were never meant to be in cages. 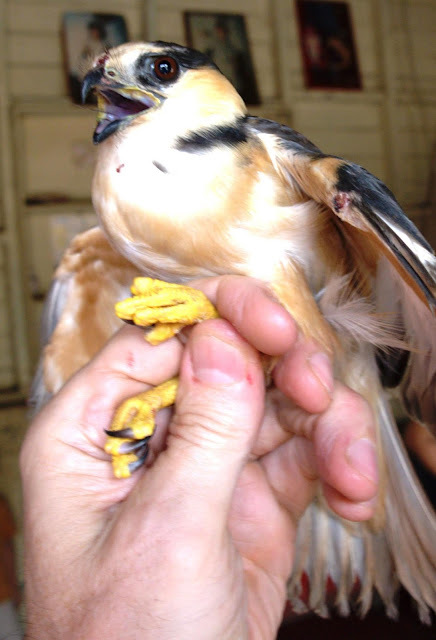 This bird can never return to the wild, so we are giving her the best treatment we can. Photo Jen Moran. Our fascination with wild animals has some perverse consequences. We insist on demonstrating our strength and courage by dominating wild animals by riding wild bulls and roping calves in rodeos, for instance. Ernest Hemingway wrote long and eloquent of his fascination with hunting animals and with the bullfight, a continuing tradition in Spain and Latin America, in which the bullfighter is pitted in a life-and-death struggle with a large, angry animal, albeit armed with deadly lances. We all know this to be an unfair fight, but millions are thrilled when the animal is conquered violently. This bird's broken wing has doomed her to a long lifetime in captivity. 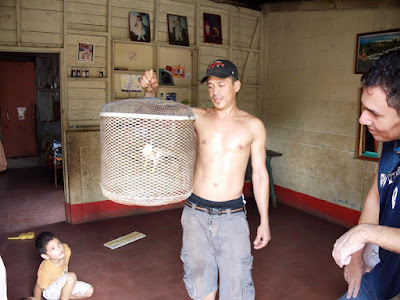 The pet trade in wild animals is extremely cruel, and should never be supported. Please do not ever pay for a wild animal! Photo Jen Moran. Among most of us today, bullfights and rodeos are not popular. But our fascination with wild animals is such that having a wild animal as a pet is common and few people criticize this practice. However, unlike dogs and cats, wild animals suffer greatly in captivity, in ways that we may ignore as pet owners. 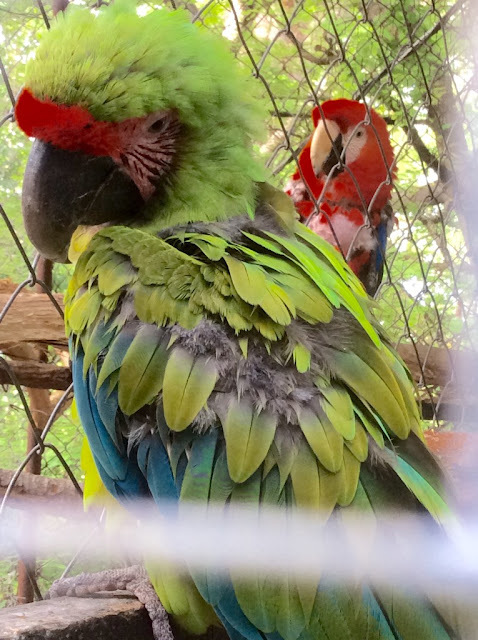 These two birds are best friends and inseparable. Both are severely psychologically and physically scarred by their handling in the pet trade. Photo Jen Moran. 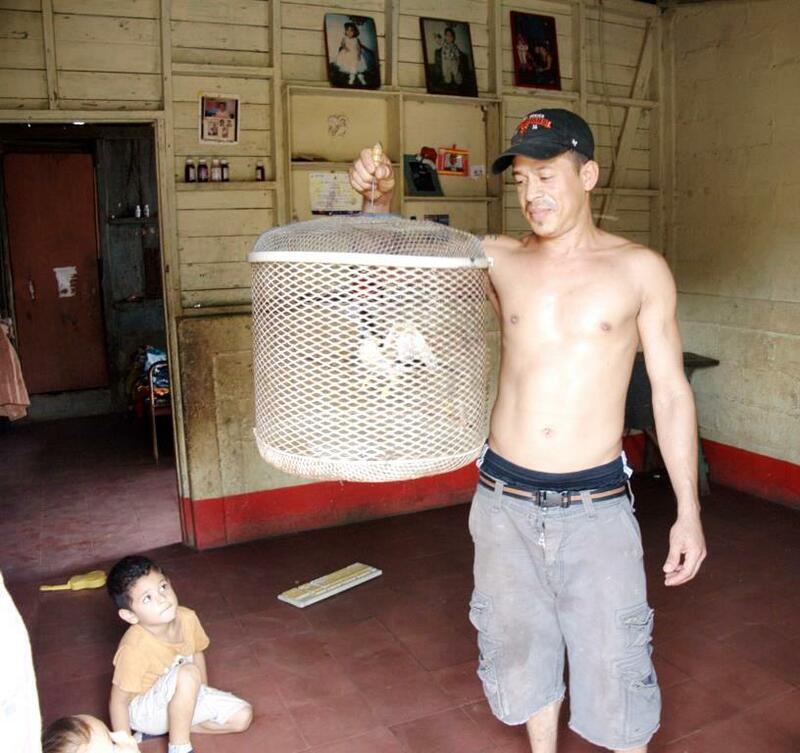 The pet trade in wild animals has been devastating to wildlife in Nicaragua. Today, very few people have ever seen a macaw in the wild. 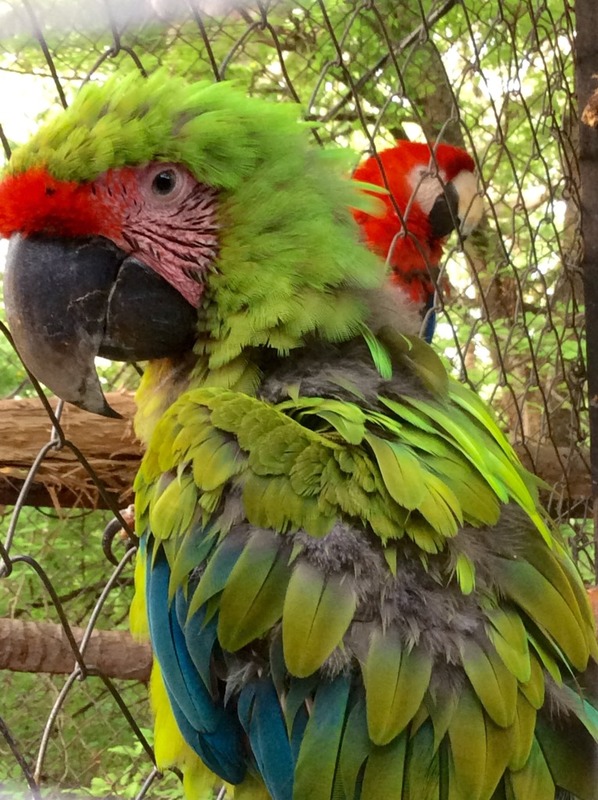 Nicaragua has two species, the Scarlet Macaw (Ara macao) and the Great Green Macaw (Ara ambiguus). Until about 1983, a flock of Scarlet Macaws was easily spotted flying over urban Managua, during the day, returning to roost in the Chiltepe Peninsula before dark. The pet trade took that flock away. Along the Pacific region of Nicaragua, all of which is native habitat for this glorious animal, only perhaps ten or fifteen animals remain, in the northwest corner, in the Cosiguina Peninsula. It is sad that one can not enjoy these majestic animals by birdwatching, but rather, we have to watch them through the bars of cages in zoos and the homes of wealthy individuals. 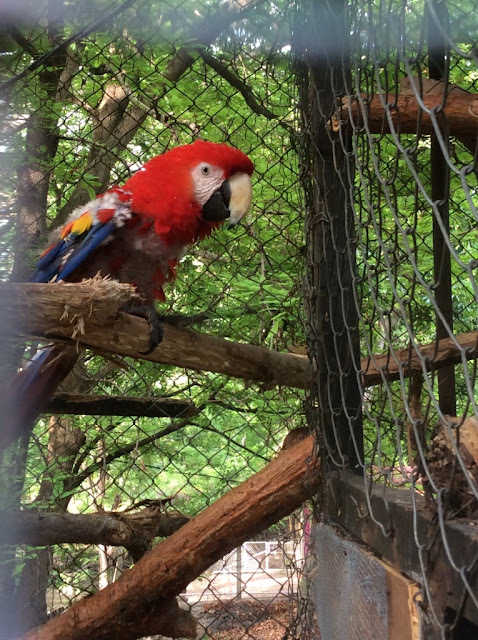 Although both these birds suffer dramatic psychological effects from captivity, they are dying for attention. 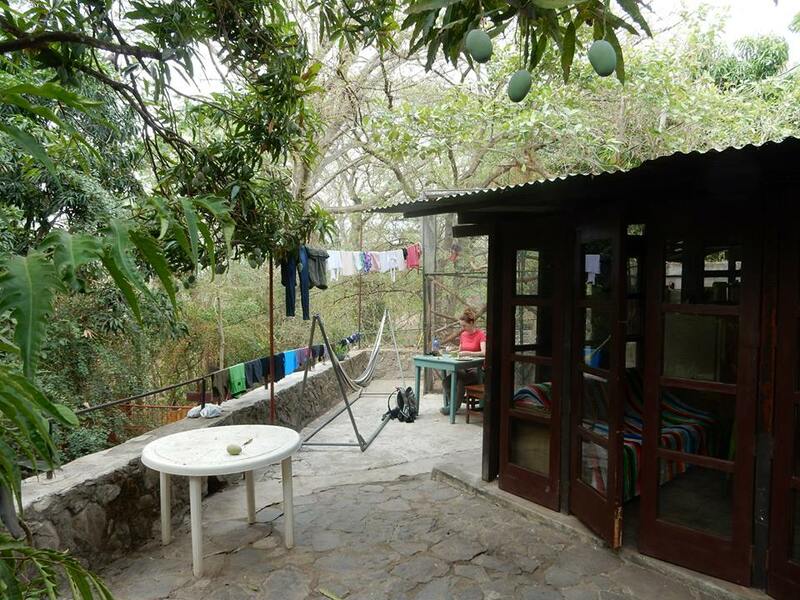 Our Eco-Warrior Volunteers at Estacion Biologica Laguna de Apoyo help with their care. Photo Jen Moran. 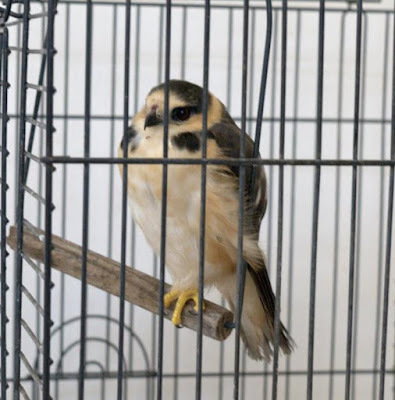 Most of the wild animals we rescue at GAIA end up getting released into the wild, if all goes well, and they have their opportunity to live and die in the forest, not in a cage as subjects of the whims of humans. These two animals, however, will never return, thanks to the horrible abuse they have received in captivity. 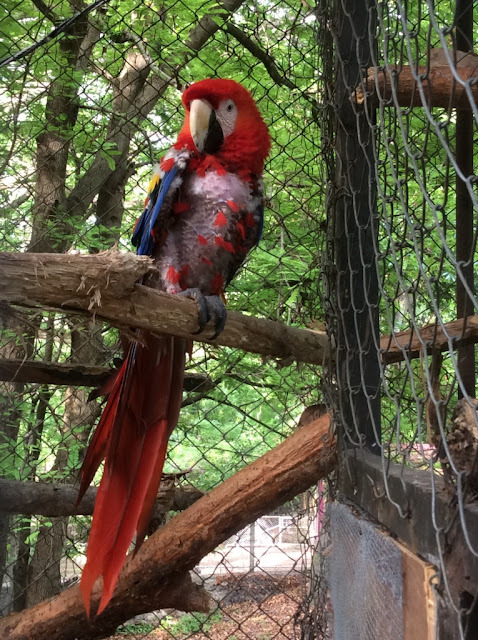 We are giving them the wildest experience possible, with cages that look to the forest, lots of space, and as diversified a set of experiences as we can manage. 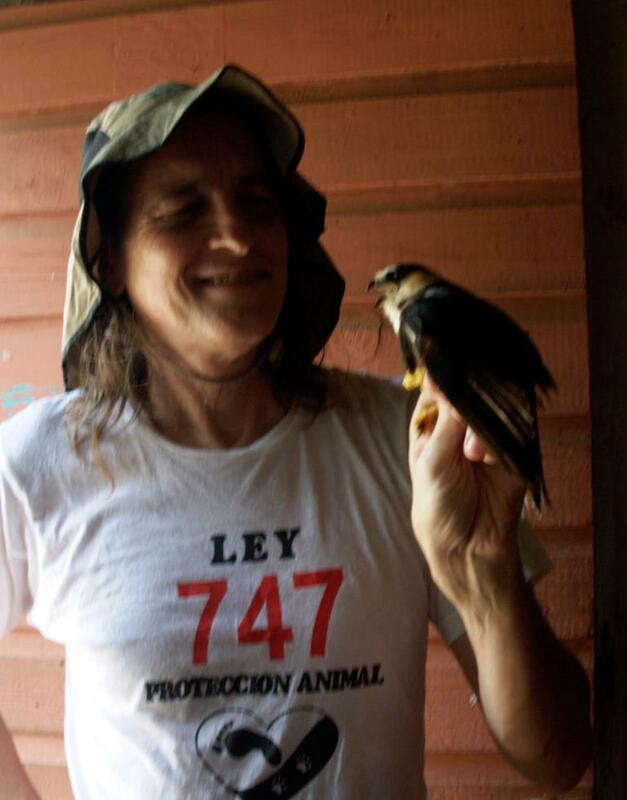 We hope that through our small efforts, Nicaragua is a better place for wild animals and humans, alike. 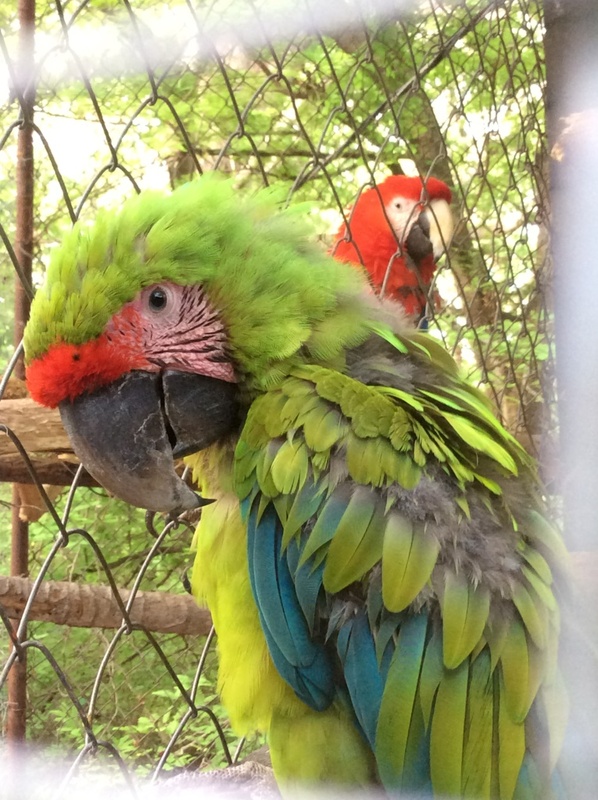 These macaws will love you!! But they still bite! Photo Jen Moran. Would you like to help us care for rescued wild animals? Please consider volunteering with GAIA or making a donation. 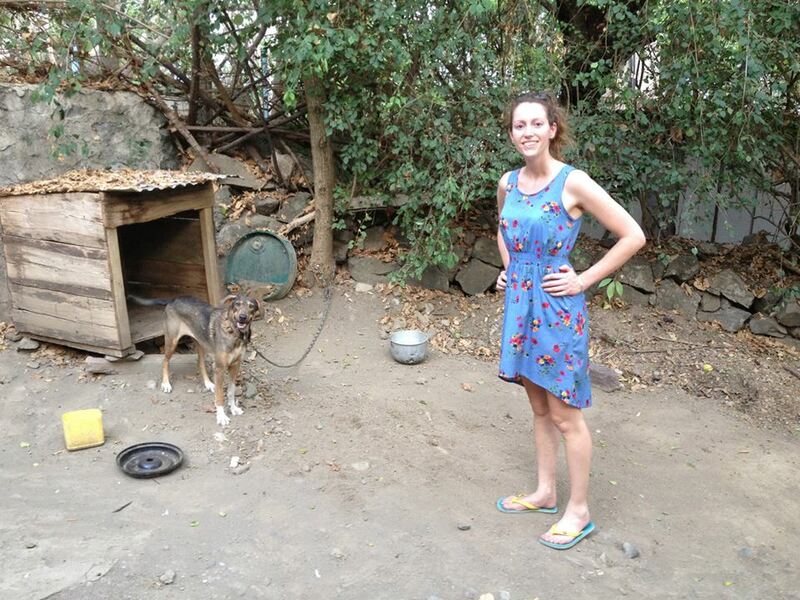 We need spare cages, money for food and veterinary costs, and volunteers to spend time serving them! Please contact us. 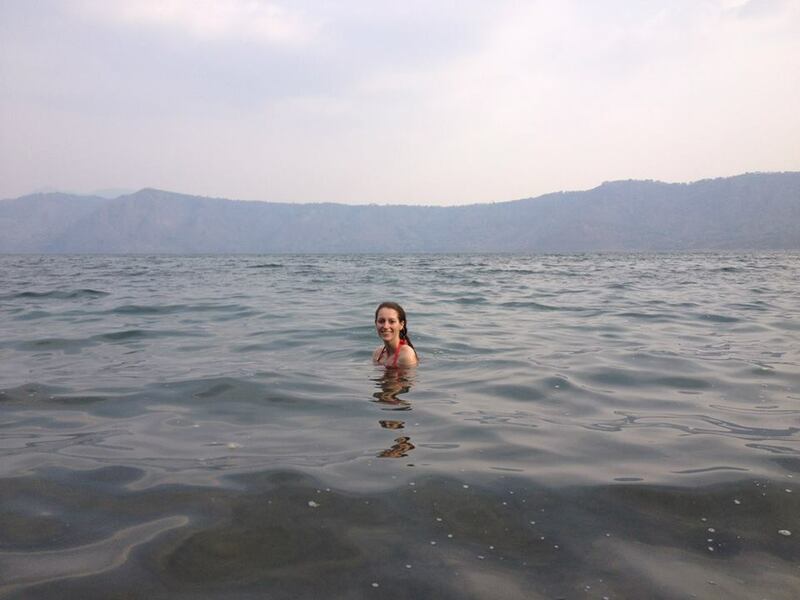 The first component of a visit to Estacion Biologica, no matter how you look at it, is Laguna de Apoyo. It is not enough to see it from afar. One must get in and live the lake in all its warmth. 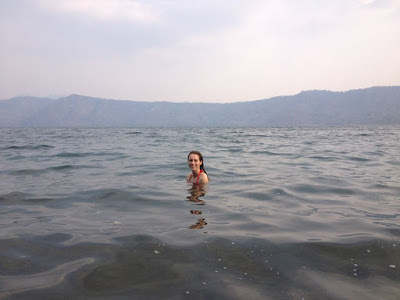 Laguna de Apoyo is important to conservation and biodiversity specialists because of its fish, but any visitor to the lake must simply get in and experience it. Swimming is an essential activity to any visit. 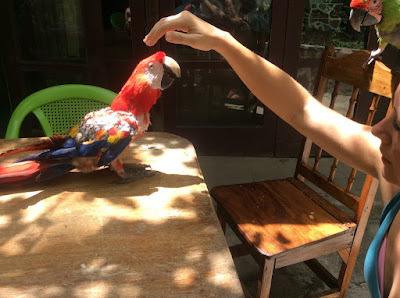 At Estacion Biologica Laguna de Apoyo, something is always going on, beyond just being pretty. 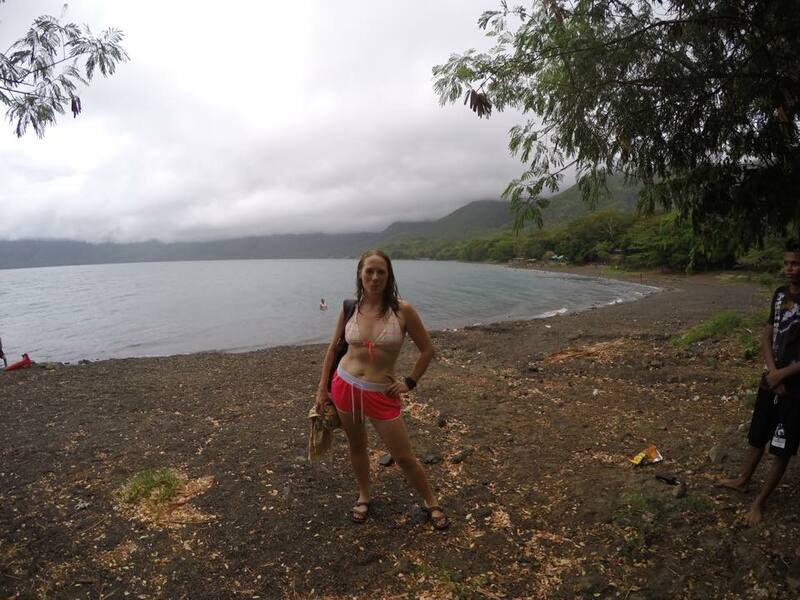 People are studying the Spanish language and Nicaraguan culture, caring for injured and rescued wild animals, studying the wild nature and social aspects of the Laguna de Apoyo Nature Reserve, or just relaxing and getting ready for the next big event. Meals are a great time to come by, because there is always a story to share. Come and study Spanish with us, volunteer, or just share some time and conversation. Reading on the patio at Estacion Biologica, with macaws and laundry, just another day. We try to live as close to nature as possible. We don't use lots of harsh chemicals, and the trees literally drape over us. Sometimes monkeys awaken us at night, driven by a full moon when they are foraging for a hard-to-reach mango. A component of the wild nature that sometimes unsettles the uninitiated is the occasional tarantula. These animals are around and eliminate small vermin, but do not bite humans unprovoked. We don't kill them, we simply encourage them to take their hunts for food outside. 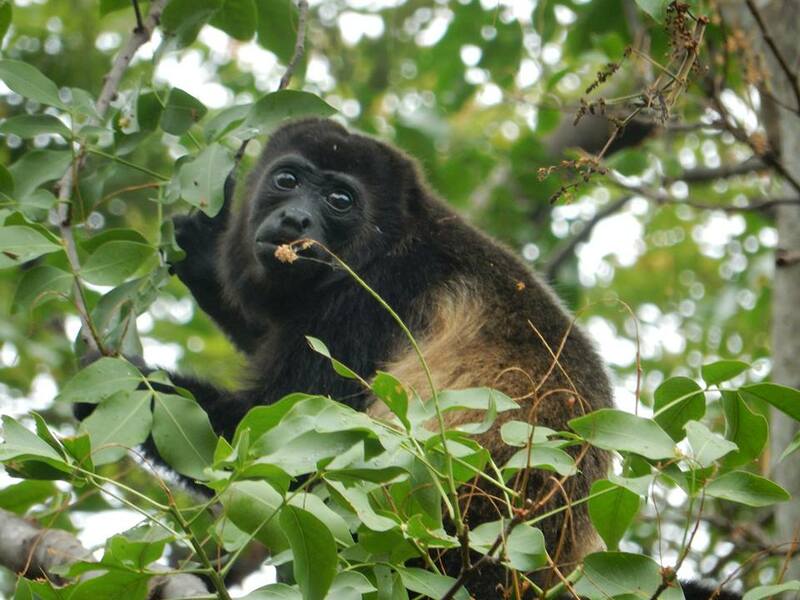 The monkeys are to be experienced in any trip to Laguna de Apoyo Nature Reserve. The most common monkey species is the Golden-mantled Howler Monkey, but White-faced Capuchin Monkeys are also found in the reserve. Neither wants to be a pet, and wild animals should be allowed to be born, live and die in the forest, not in a cage. Howler monkeys eat leaves and some ripe fruits. Butterflies count among the most lovely aspects of the forest inside Laguna de Apoyo Nature Reserve. 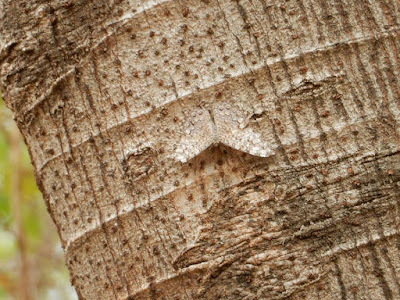 Some are brilliantly colored, others with subtle colors and patterns that hide them, but on closer inspection, their designs are noted for complexity and elegance. A Hamadryas butterfly rests in its typical wings-down pose. 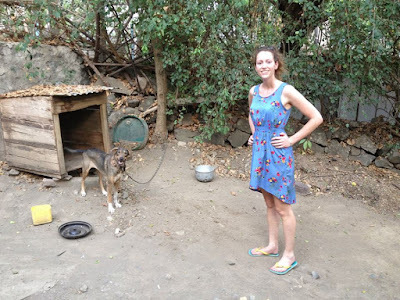 Any visitor to Nicaragua notes that dogs are ubiquitous and often, poorly treated. GAIA is working with the National Assembly of Nicaragua to implement better laws and regulations to enforce humane treatment of animals, both domesticated and wild. Our beloved Bella is always willing to go for a walk or some intimate discussion. 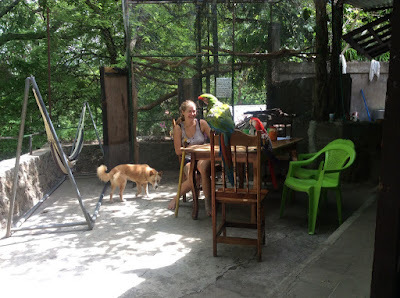 Bella is a beloved member of our family at Estacion Biologica. 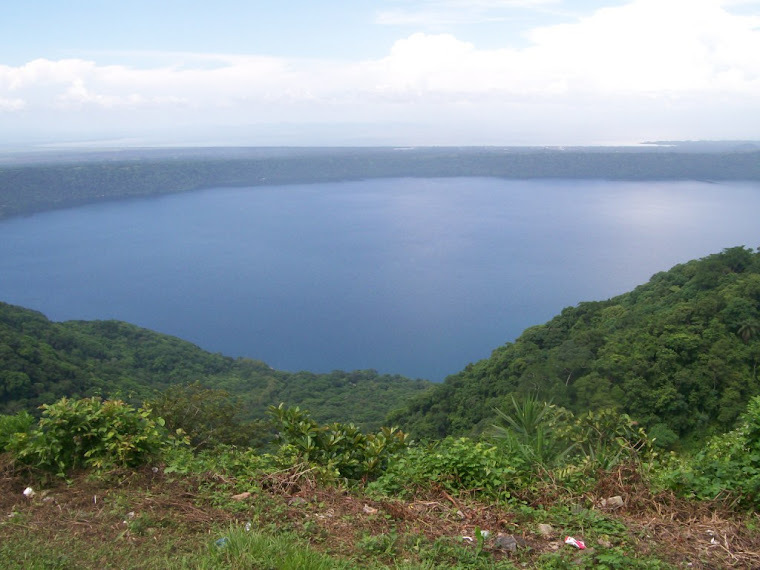 The forest in Laguna de Apoyo Nature Reserve is fabulous, but under constant threat. GAIA has planted thousands of trees and husbanded them to mature sizes. These forests are habitat to wild cats, monkeys, iguanas, and many more animals. 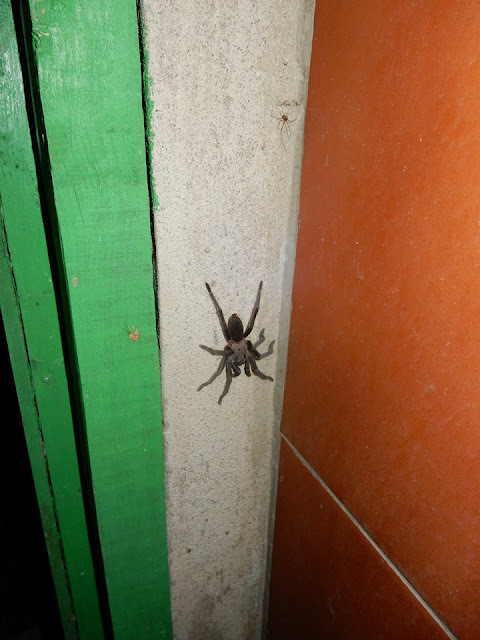 You never know who you might see at Laguna de Apoyo. Photo Jen Moran. We want you to visit, to chat and learn, and if you would like, to stay and share more. 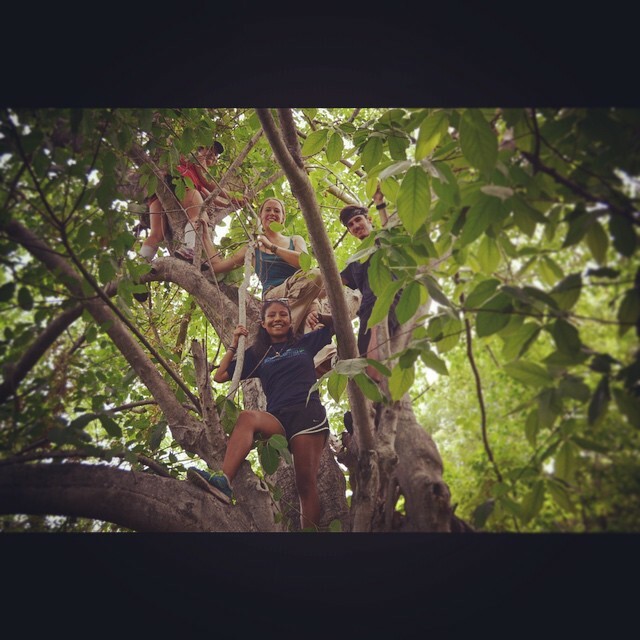 Come and visit, study Spanish, or help us save wild nature in Nicaragua. Please come by! GAIA volunteer Jen Moran (photo credit) joins the HEAT crew in scaling a tree.